Issy Flower in Culture & Arts Television on 30 November, 2018. The BBC have this week released their annual Christmas schedule, and, whilst there are a few unexpected treats, it largely looks like business as usual. As per recent years, a key aspect of the lineup is the Agatha Christie adaptation, this year a Poirot mystery starring John Malkovich. Although this is a more risky choice than the previous years’ adaptations- being a more well-known story and with Poirot already having a long television presence in the form of David Suchet- the star casting of Malkovich makes this a prime example of the event drama genre, and certainly worth watching. Similarly, the new Andrew Davies adaptation of ‘Les Miserables’ suggests the BBC’s desire to recreate the success of their production of ‘War and Peace’, and also a commitment to rivalling the big online companies that dominate the modern televisual landscape. Additionally, the newly instated Christmas tradition of Julia Donaldson and David Walliams adaptations (this year, ‘Zog’ and ‘The Midnight Gang’ respectively) further suggests a stagnation in the main schedules, and perhaps a desire to reclaim the BBC’s title as THE communal, family broadcaster for Christmas. None of these productions seem to be original televisual choices- both the adaptors and original writers here reliable for making good television- compared to the presence of ‘Luther’ in the lineup. Is there anything less Christmassy than the dark depravity of Idris Elba’s perennially popular detective? 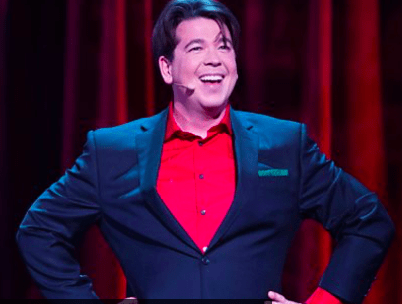 Despite the series’ popularity, it’s inclusion in the lineup marks one of the few interesting side-steps in a BBC one schedule that relies on entertainment programmes such as ‘Strictly Come Dancing’ and ‘Michael McIntyre’s Big Christmas Show’ to pull in the ratings. However, there is more variety elsewhere. This can be particularly seen in the music specials coming out of the BBC this Christmas, ranging from crowd-pleasing ‘Take that and Us’ on BBC One, to an exploration of Fleetwood Mac on BBC Four and jazz-smooth Gregory Porter on BBC 2. Perhaps most surprising is a retrospective on late-80s boyband Bros, playing into both the cheery nature of the season and the eternal nostalgia of a BBC Four audience, further seen with the next instalment in their chronicle of Top of the Pops. Nostalgia can be further seen, but reinvigorated, in the reemergence of the Christmas ghost story- Mark Gatiss’ ‘The Dead Room’- and a reimagining of ‘Watership Down’. Although you might argue that these productions are playing into the same sense of tradition and nostalgia as the BBC One scheduling I’ve lambasted above, they do inject a much needed sense of horror and uneasiness into the season. There is a tendency for the BBC to retreat into a warm, snuggly bubble of middle-class, conventional viewing that won’t offend or unnerve anyone too stuffed with pigs in blankets to respond- for them to take a risk on these kinds of things suggest that the radical, challenging BBC of the past can still exist in the modern age. In other areas though the BBC’s focus on tradition can still be seen. 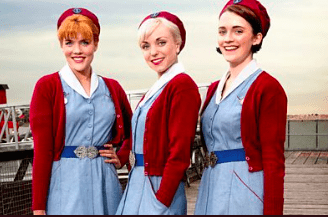 The schedule remains dominated by men- none of the season’s (undeniably interesting) retrospectives are of women, nor do they receive much purchase in drama or comedy- the greatest representation comes in ‘Call the Midwife’, ‘Doctor Who’ now shunted off to New Year’s Day. Similarly, women such as Mary Berry and Nadia Hussain dominate cooking-based reality shows whilst men are more represented in the area of natural history programming- Gregg Wallace and Michaela Strachan being the outliers in both areas respectively. Therefore, both the schedule and the representation within it remain rooted in the past. I may have been overly critical of the BBC’s schedule in this article- after all, Christmas is a time when traditions are enjoyed and reinforced, and undoubtedly each of these shows will be enjoyed and a success for their broadcaster. However, as the landscape of British television continues to evolve, I wonder whether this stodgy schedule, with its glimpses of innovation and interest, can get the viewing figures that the Beeb so desperately need.